Exhibiting at AAPG SEG International Conference and Exhibition - Booth 530 (NWS Databases & Player Studies). Exhibited at APPEA 2015 - Booth 449 (NWS Databases & Player Studies). Exhibited at APPEA 2014 (North West Shelf Regional Prospectivity Studies). Exhibited at WABS 2013 (North West Shelf Regional Prospectivity Studies). Finalisation and delivery of the Player Browse and Offshore Canning Basins petroleum prospectivity project. Exhibited at APPEA 2013 (North West Shelf Regional Prospectivity Studies). Finalisation and delivery of the Player North Carnarvon Basin petroleum prospectivity project. Article on "Geological 'Storage Ready' And Comparison Of Risk Assessment" which appeared in the July 2011 issue of SPE News. Carbon Capture and Storage: Articles "CO2 Geological Storage Capacities" by Anna-Liisa Lahtinen and "Queensland's CO2 Geological Storage Prospectivity" by Barry Bradshaw. A feature on Carbon Capture and Storage: Articles "Geological Storage of CO2" and "Geological 'Storage Ready'" written by John Bradshaw, as well as an article "GHGT10 - What were the key messages for carbon dioxide capture and storage" written by the CGSS team. Anna-Liisa Lahtinen presented a talk titled ‘Regional Storage Capacity Estimates: Prospectivity not Statistics’ in the Capacity Estimation session on the first day of the GHGT10 conference. This presentation documented the CGSS Storage Capacity Estimation methodology, highlighting the importance of incorporating basin specific data into storage capacity calculations, rather than using generic statistics. The talk described the four processes involved: regional prospectivity assessments, CO2 density curve generation, Migration Assisted Storage (MAS) efficiency factor discount and finally the documentation of the data quality and quantity used in the assessment. 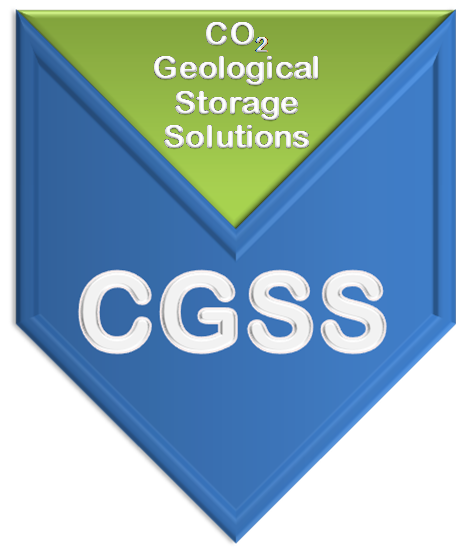 If applied correctly, the CGSS Storage Capacity Estimation Methodology produces conservative results that are transparent and repeatable that can be understood and relied on by non-specialists. CGSS associate, Lynton Spencer, was the lead author of the above mentioned paper 'Regional Storage Capacity Estimates: Prospectivity not Statistics' and also co-authored the paper 'Carbon dioxide storage leads of the eastern Gippsland Basin, Australia - terminology, seal and structure considerations in trap integrity assessments' (with J. Sayers, R.F. Daniel and R.R. Hillis). 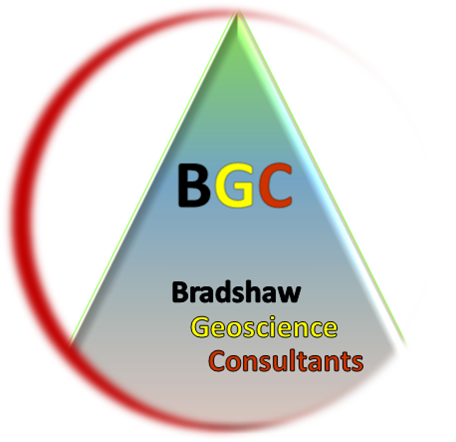 Dr John Bradshaw, an invited speaker, presented a talk at the Second EAGE (European Association of Geoscientists & Engineers) CO2 Geological Storage Workshop in Berlin on "Regional Scale Assessment - Results & Methodology Queensland CO2 Storage Atlas". Dr John Bradshaw, as an invited speaker presented a talk at the AMPLA (Australian Resources and Energy Law Association) Annual Conference in Sydney on “Some Technical Practicalities and Legal Implications of Geological Storage of CO2: a Geologists Perspective”. In association with the Queensland Government (QDEEDI) and the Australian Coal Association (Coal 21 Fund), CGSS staff presented a workshop on the Qld Carbon Dioxide Storage Atlas. Some of the topics included an overview of the atlas, the methodology used, a summary of the results and conclusions and a drive through interactive GIS session. Copies of the Atlas are available to purchase from the Qld Department of Mines and Energy Information Centre (Tel: +61 (0)7 3237 1434, sales@dme.qld.gov.au). Dr John Bradshaw, as an invited speaker presented a talk at the South African Carbon Capture and Storage conference in Johannesburg on “Scaling up CO2 storage and the related challenges”. Global First for CO2 Storage. Article regarding Australia's first commercial release of offshore areas designated specifically for the assessment of their CO2 storage potential. A feature on Carbon capture and storage, including an interview with CGSS CEO Dr John Bradshaw.